Our home school has always been heavily literature-based, so we are always on the look out for great books for our library. YWAM Publishing is one of our favorite resources for such books. 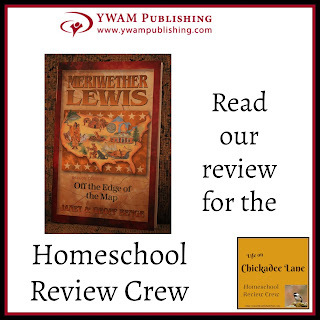 The past few weeks we have been reading Meriwether Lewis: Off the Edge of the Map, from the Heroes of History series. We also received the digital study guide to go along with our book. This biography about Meriwether Lewis is a softcover, 230-page book, written by Janet and Geoff Benge. 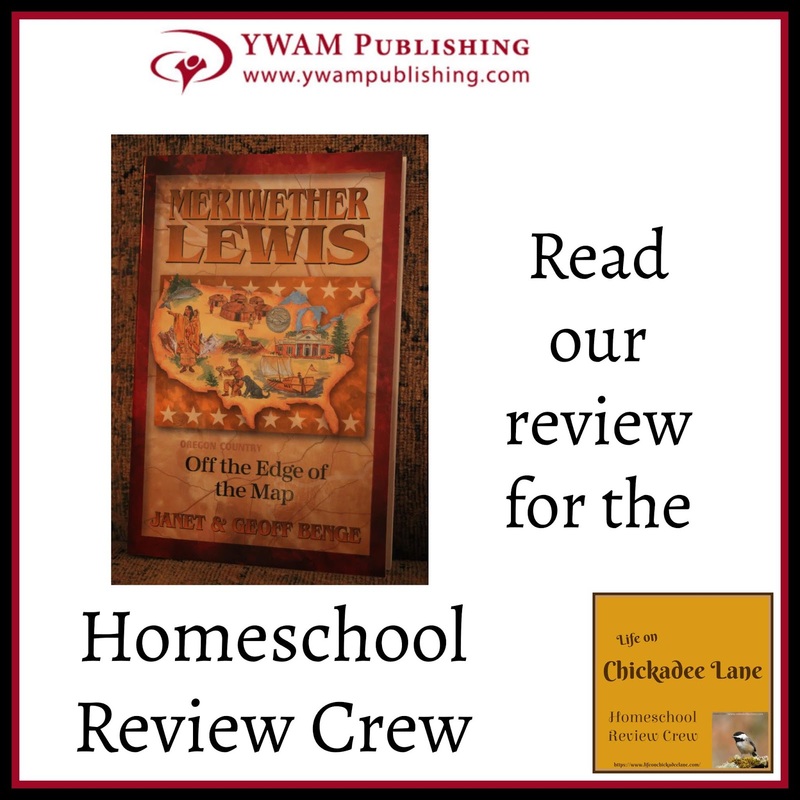 Lewis is described as a fearless, adventurous man, from a very young age. He was only four or five when he inherited his family's plantation when his father died unexpectedly. But operating a plantation was not what he wanted to do. He wanted adventure, and he spent his days in the woods. Later he enlisted in the military. He was friends with Thomas Jefferson even before he became president. Jefferson offered Lewis the position of being his private secretary. Soon they were planning together an expedition to explore the country west of the Mississippi River, which was part of the newly-purchased Louisiana Territory. The planning and preparations were extensive. 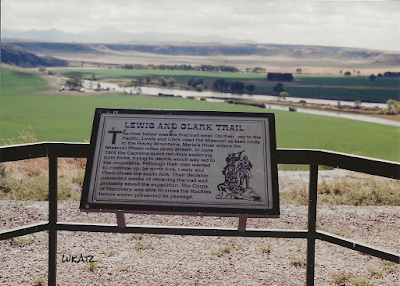 Lewis was pleased to receive and accept the offer of being the leader of the expedition, and asked his friend, William Clark, to be co-leader with him. The book goes on to share some of the frustrations and setbacks of preparing for the trip, and throughout the trip itself, as well as describing some of the amazing things they saw along the way, such as the endless herds of bison, the huge grizzly bears which took more than one shot to fell, and the time-consuming portage of the Great Falls of the Missouri. In the end, much of Jefferson's curiosity was satisfied. Jefferson went on to appoint Lewis governor of the Territory of Upper Louisiana. Meriwether died at the young age of 35, only about 3 years after the end of the Corps of Discovery expedition. We also received a downloadable unit study curriculum guide. Since my printer died on me earlier this year, I wasn't able to print the guide. The unit study curriculum guides for all of the Heroes of History and Christian Heroes: Then & Now biographies are extensive and in-depth. There are key quotes, suggestions for a display corner, chapter questions, student explorations, social studies, and more. There is always a timeline to fill in, and maps on which to chart locations of important events from the the person's life. When I am able to print off the timeline, I do. This time, we used our timeline book to record the events from Lewis' life. This study guide has a map of the US, as well as a map pertaining specifically to the Expedition. I read the book aloud to SJ (hey, I like hearing the story as much as he does!). SJ isn't a big fan of comprehension questions, but we still go over them anyway. We also discussed the vocabulary words and definitions, because I think they are important and help SJ to stop and really think about word definitions. Since I couldn't print it off this time, I had SJ map the expedition on our erasable, black-line map. He traced the river course, labeled the rivers, and marked the beginning of the journey, and their wintering locations. 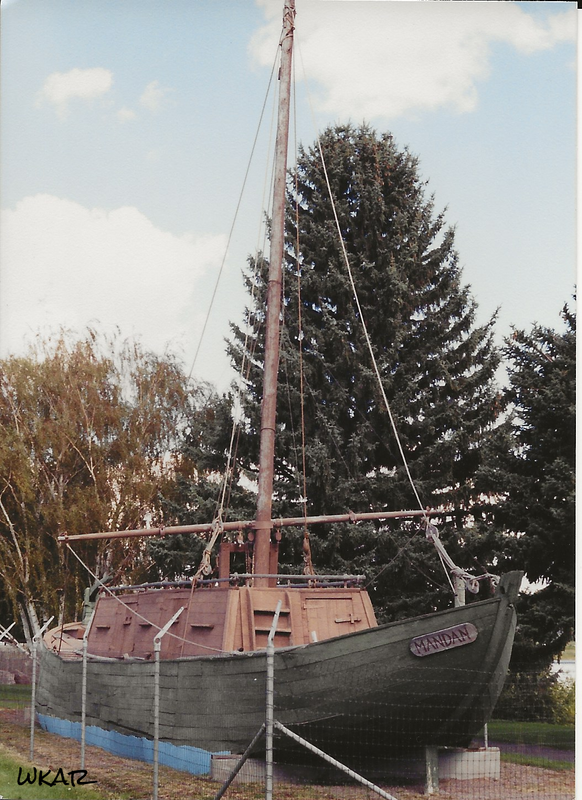 I had him begin at Pittsburg, since that's where Lewis began with the keel boat. Of course, I had him mark the (approximate) location of the Great Falls. 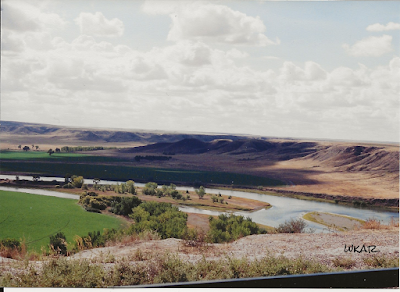 I am not sure how many of my readers know that all four of my children were born in Montana. Three were actually born in Great Falls. 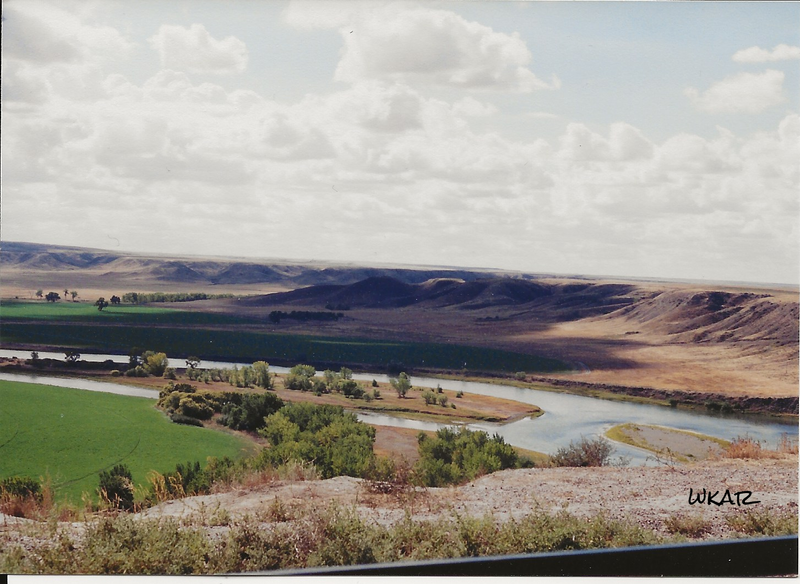 There is a wonderful interpretive center there, and we visited on more than one occasion. I searched for pictures, that I thought I'd taken, to no avail. 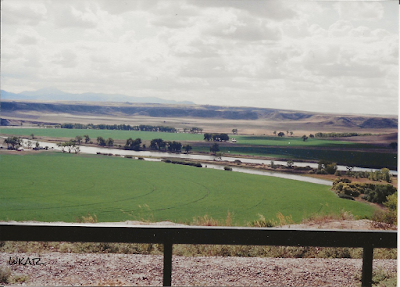 However, I did come across these, taken in Fort Benton, which is also on the Missouri River. When we made this trip, SJ was only a year or two old, so I know he doesn't remember. Thus, I shared these photos with him. 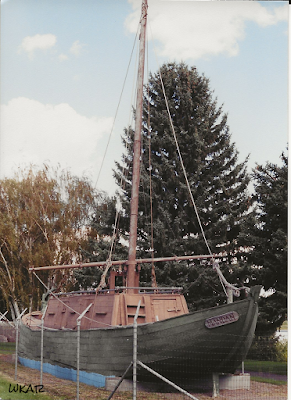 This is a replica of the keel boat. 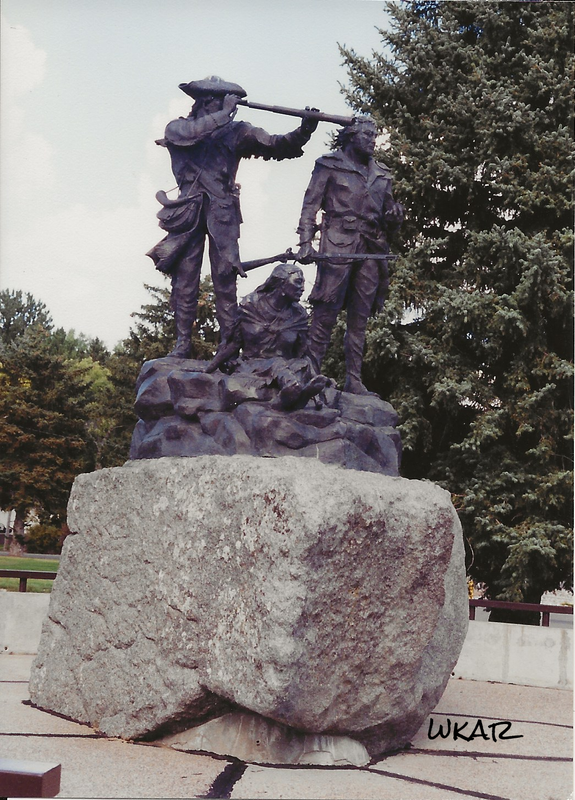 This is a statue of Lewis, Clark, and Sacajawea with her infant son. This sign reads: "The river below was the first trail west. 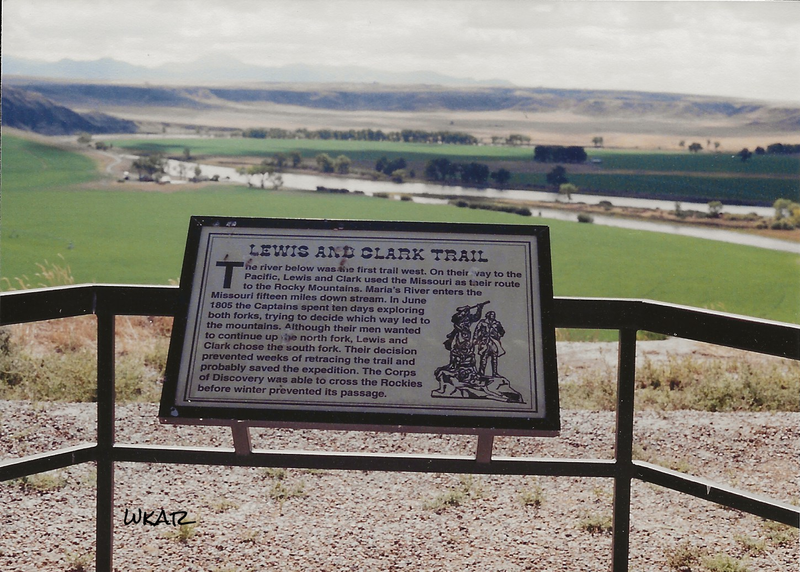 On their way to the Pacific, Lewis and Clark used the Missouri as their route to the Rocky Mountains. Maria's River enters the Missouri fifteen miles down stream. In June 1805 the Captains spent ten days exploring both forks, trying to decide which way led to the mountains. 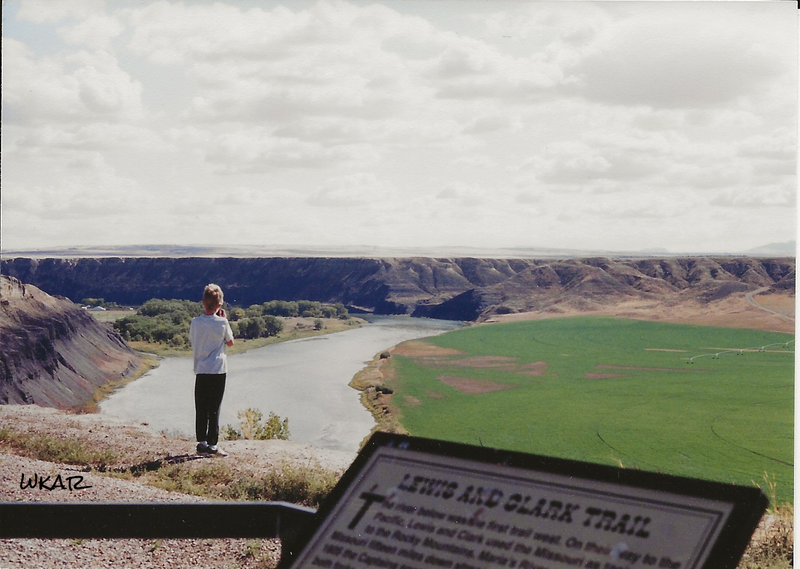 Although the men wanted to continue up the north fork, Lewis and Clark chose the south fork. Their decision prevented weeks of retracing the trail and probably saved the expedition. 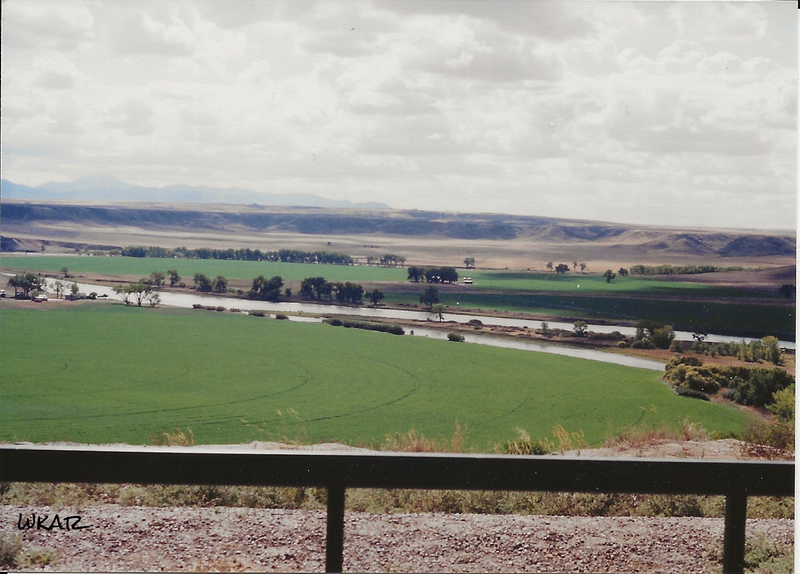 The Corps of Discovery was able to cross the Rockies before winter prevented its passage." It's beautiful country up there, and I know we'd all like to go back for a visit sometime. Seeing it with our own eyes makes history come alive when we read books such as this. As always, we enjoyed the engaging, well written story. It's always a plus when we can learn history through living books such as this. I'll admit, even I learned more about Lewis. If you haven't read any of the books in these series, I hope you will check them out. They will enhance your studies history, or of missionaries and other famous Christian men and women. We were only 1 of 70 families reviewing for YWAM Publishing this time, so you'll want to read their reviews as well. Simply click the banner below.